Thanks to Rebecca of Atomic Fantasy Vintage for sharing this wonderful 1952 photo of her Mother with Santa. Back in the day: Rose’s Family. 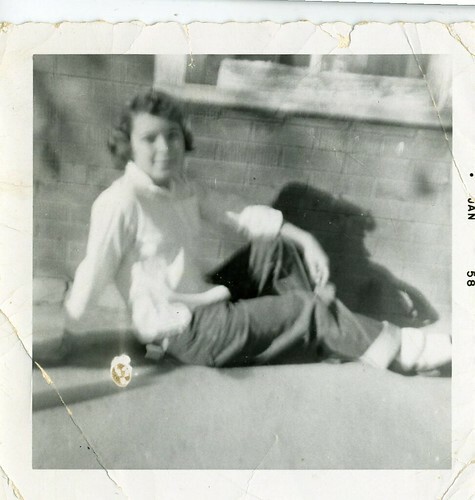 I got a ton of old photos the other day of my wonderful bootiful grandmother. She was pretty grand enough to loan them to me for the photo album I am creating. I thought I’d contribute some of them to Toni’s back in the day section. A: Still wearing Levis. I still look good in them too. My Grandma has a thing or two to say about a thing or two. I love it. My dad standing next to the coolest air conditioner. Ha! Get it? Coolest air conditioner? My grandma sitting at her formica dinette set. My dad with some fellas next to a cool ‘fridge’. The Sacramento Zoo. I wish this photo showed the cool MCM structures. My dad wearing a super sweet hat. I love everything about this photo. That’s my stylish grandma and my uncle Eddie. This photo reminds me of the episode of Mad Men where they go on a picnic and dump all their trash on the grass. Okay, if you know a traditional Mexican family, you know that they like to cover their sofas with awesome blankets. Also, I’m wondering what that tension pole thing is? Anyone know? Gosh, I can’t get over how cute of a baby my dad was. Seriously. If anyone else would like to share their vintage family photos featuring awesome furniture and interiors of your family homes with Mimomito, send them over to: midmodlove@yahoo.com You can send one or 50. 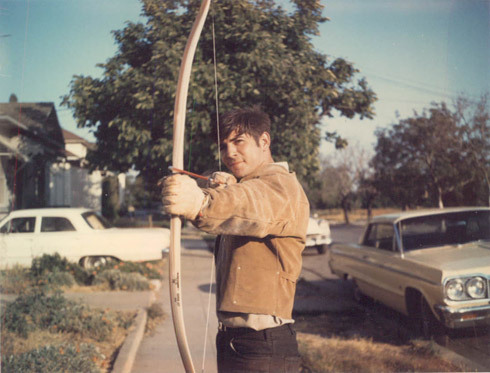 Our new section “Back in the Day” includes personal photos of our readers from the ’40s through the ’70s. This week, Sherri was kind enough to share some photos of her family. Super cute! My great grandpa Henry Mossman. Great Great Auntie Pualani with Duke Kahanamoku. Also, if anyone else would like to share their vintage family photos that show some great design with Mimomito, send them over to: midmodlove@yahoo.com You can send one or 50. These wonderful photos were contributed by our good friend David from Atomic Fantasy Vintage. Aren’t they wonderful? 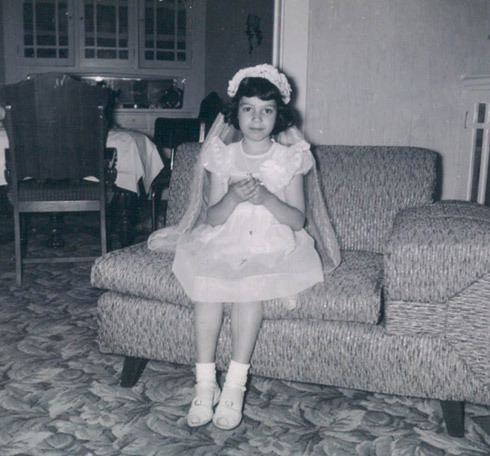 1953: My mom, age 7, on a little mid-century sofa with an very large left-hand arm rest. Was this to set a tray on? 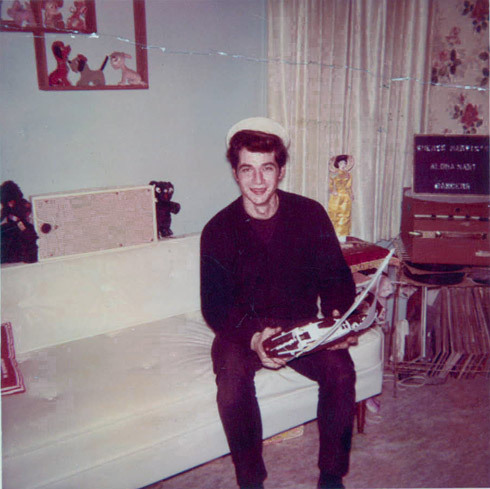 1966: My dad, age 21, on a white vinyl sofa. Holding a model boat and wearing what looks like some kind of sailor’s hat. 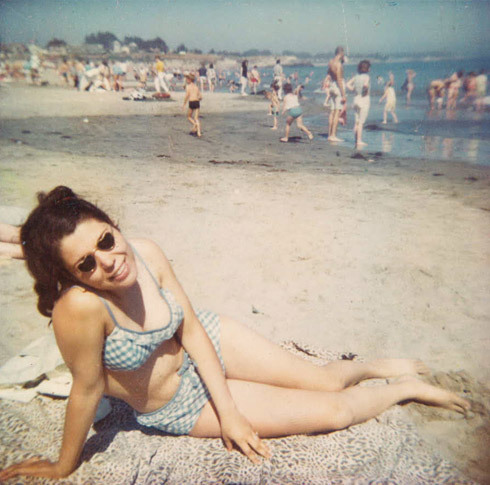 1966: My mom, on the beach at Santa Cruz with heart-shaped sunglasses. 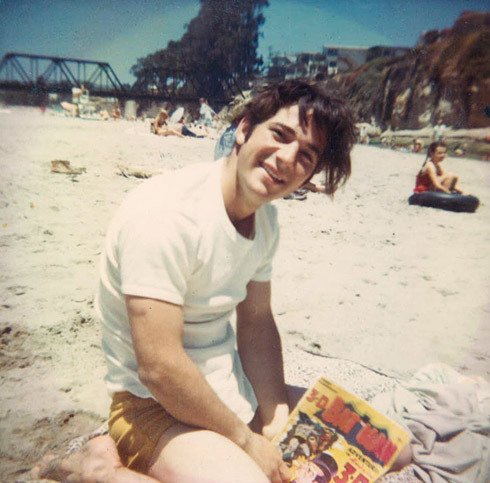 1966: My dad with a 3-D Batman comic book. 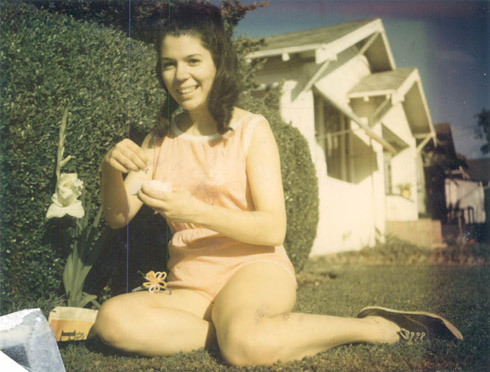 1967: My mom, front lawn of unidentified house. 1967: My dad, on a block in San Jose with mid-60s cars. 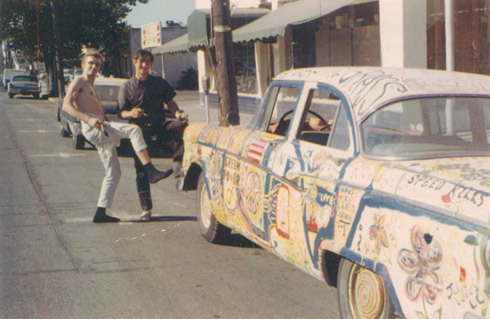 1967: My dad with a friend, custom painting his car. This is the driver’s side. The original owners of my home were wonderful enough to send me some photos of the family who loved my home before me. I am forever grateful, and inspired to create a new section of the blog that allows our readers to share their own 40’s-70’s family photos. I’d love to see the furniture that you grew up with, the cars your family had and pretty much any photo that encompasses mid-century life. Check out that sweet tension lamp. It is in the exact spot that my pole lamp currently resides. Ohhh girl, and those bark cloth curtains … oh me, oh my!